Vocational training is not conceived without an active and participative methodology that allows students to develop all their professional, social and personal competences for the sake of their labor integration and personal growth. For this reason, we continually strive to teach our students to “know how”, to make decisions and to team working in a responsible and autonomous way, and one of the best methodologies to achieve these goals is “Work Based learning”. 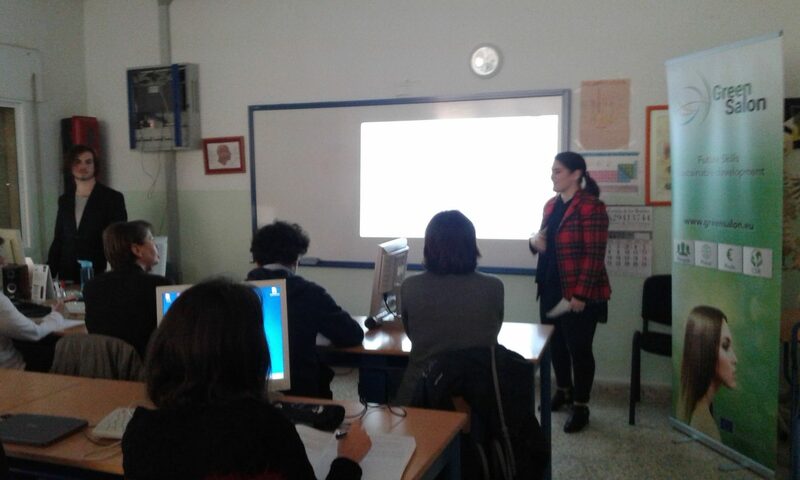 Our commitment to this methodology led us to join an Erasmus + Project sponsored by the Italian institution: Ente Nazionale Canossiano, based in Verona, called "EU gives you WINGS: towards European Work based learning experiences". 1- Incorporate new technologies and gamification to increase motivation. 2- Improve awareness of the sustainability of hairdressing and aesthetic services. 3- Increase self-esteem and communicative skills. 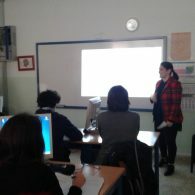 "Future Skills and Sustainable Development in the Green Salons", a three-year European project whose objective is to research and develop different educational materials for helping teachers and students to improve safety and environmental protection in the sector. In addition this project seeks to increase the awareness of professionals about sustainability and to offer them different tools to do it. "Green Cosmetics". Project of two years of duration realized by students of intermediate degree of aesthetics, consisting in developing the whole process for the creation of natural and ecological cosmetics: preparation of the area and planning of the greenhouse, selection of plants with indication of it properties, plantation, compilation, drying, extraction of the essential oils, production of the cosmetics and sale of the same ones. "We play while we learn". The Department of FOL promotes the creation of a Trivial by the students of training cycles on the contents of labor law. In the same way and to review the Didactic Units, we use in class the "online" game: FOLPlanet. "Study of body, color and style in costumes and complements". Students of first year degree of Personal Image Counseling, in the module of dress styling, carry out throughout the course a study of the client from his anthropometric shape and, according to his/her needs, determine the changes that could be realized in the figure through the clothing. "Elaboration of the client's technical file" on the part of the 1st FPB students of hairdressing and aesthetics. After the elaboration of a technical file, they must complete it and elaborate the protocol of attention to the client with the subsequent execution of the technical work as auxiliary. Our colleagues took the opportunity to learn how we work in our Institution with some of our partner companies, and we reinforce our mutual commitment to continue collaborating on future Erasmus projects. In this sense, one of our students is going to carry out a 3 months internship in the facilities of the Canossa Fashion Center (Trento).